OTTAWA -- When Blackberry QNX sends out a self-driving car this summer for its first test in Canada of an autonomous vehicle on public roads, some high-powered competitors — and collaborators — will have front-row seats. There’s Apple Inc., which occupies a floor of a tower on Legget Drive, just around the corner from the QNX headquarters in Ottawa’s high-tech suburb of Kanata. Across the street is Nokia, which is supplying wireless gear for the trial. Two blocks away is a 300-employee office opened by Ford of Canada this year to speed the automaker’s progress on connected vehicles. At least 60 companies in Canada’s capital city — from big-name players to shoestring startups — are active in autonomous-vehicle research or ready to jump in, according to Ottawa’s economic development agency. It says the region has the clear lead in Canada in the hottest field in technology and transportation. “We actually have the critical mass here to make this happen,” said Blair Patacairk, Invest Ottawa’s director for investment and trade. More bragging rights could come if Ottawa wins designation as a “centre of excellence for autonomous vehicles,” which could put it at the front of the line for provincial and federal funding. There are hints, however, that such support will be spread across several sites — including southern Ontario’s booming tech alley — rather than concentrated on any single location. “I think they’ve gone past that and realized it has to be more flexible,” said Marianne Wilkinson, municipal councillor for Kanata North and part of a delegation of politicians and business leaders who travelled to the provincial legislature in Toronto in March to press Ottawa’s case for the special status. One possibility: Ottawa could be part of an “innovation supercluster” for autonomous vehicle development under Prime Minister Justin Trudeau’s Liberal majority government plan to fuel economic growth with nearly $1 billion of investment by 2022. Predictions vary wildly on how quickly vehicles will progress from current levels of automation (adaptive cruise control, park assist), to full hands-off automation, but that isn’t stopping a gold rush of investment in hopes of a big payoff. Management consultants McKinsey and Co. estimate self-driving cars and other still nascent technologies could boost global auto industry revenues by as much as 30 per cent — or US$1.5 trillion — by 2030. A 100-kilometre stretch of Highway 401, dubbed the Toronto-Waterloo Region Corridor, has emerged as Canada’s technology hotspot. It claims 200,000 tech workers, not far off the 245,000 total of California’s Silicon Valley. Anchoring one end of the corridor is the University of Waterloo, which conducts high-profile research into autonomous cars and aircraft. But Ottawa, with nearly 70,000 tech workers by Invest Ottawa’s count, has its own autonomous-vehicle selling points. Southern Ontario may be home to carmakers and suppliers, but the capital holds the headquarters of the National Research Council and regulatory agencies such as Transport Canada. Its backers also cite a heritage of designing dependable switchgear and networking equipment, dating to the rugged products of BellNorthern Research. This should look good to a transportation industry for which safety and reliability are key. The jewel in the crown, however, is QNX. Its software powers entertainment, navigation and diagnostics systems in more than 60 million cars around the world. Corporate parent BlackBerry has announced plans to more than double the staff at QNX’s Kanata office, where an autonomous-drive research centre opened in December. Sometime this summer, a self-driving car will leave the facility to navigate a 4.5-kilometre loop on municipal streets around office buildings and golf fairways. Ottawa Coun. Wilkinson says the city has repainted road markings and installed sensors at intersections as its contribution. An employee will be behind the wheel, ready to take over if necessary, so fellow drivers are unlikely to notice a trial that will be a first in Canada, though years behind the start of on-road testing in the United States by Google’s Waymo and others. 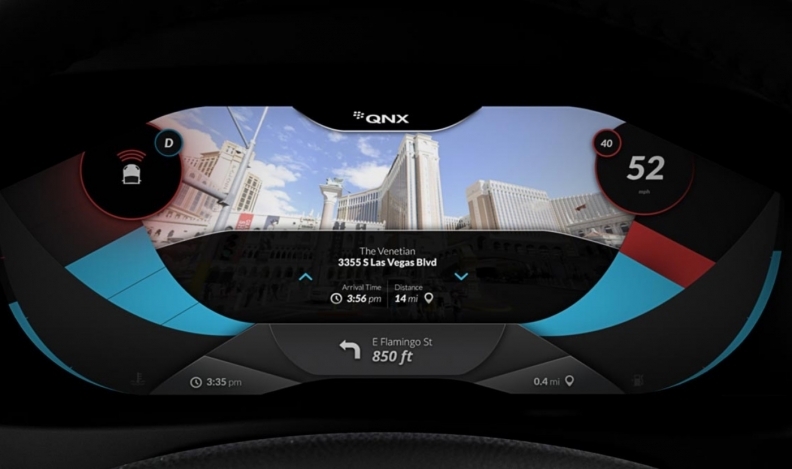 QNX’s presence was the lure for Apple, which raided its Kanata neighbour for engineers and even QNX co-founder and former chief executive Dan Dodge to further the tech giant’s priority work on automated vehicles and artificial intelligence (AI). Apple won’t say how large a role Ottawa plays, but has acknowledged that the overall effort is massive. “We sort of see it as the mother of all AI projects,” chief executive Tim Cook said in June. For Ford, the lure was a chance to take over a BlackBerry office in Kanata and hire as many as 400 BlackBerry employees, 295 in the capital region, to help develop wireless technology around the QNX software that underpins Ford’s latest Sync in-car infotainment system. There are others. IBM develops software in Ottawa for the Watson platform it believes can become an autonomous-vehicle mainstay. Amazon has a small team said to be working on its Alexa interactive voice service, already found in the products of several automakers. Small, specialist firms also see opportunities. “I was talking to an Ottawa company today that does the controllers for traffic lights, and they’re looking at a new product line that will send signals to autonomous vehicles,” said Kelly Daize, a market director at Invest Ottawa. From her office window at the Kanata North Business Association, executive director Jenna Sudds can see business after business poised to profit from automated vehicles. But while she’s excited by the local prospects, she believes an Ontario-wide view is necessary to compete in the global autonomous-vehicle race.